ThAEtrophone (Das ThAEtrofon) is a research installation we placed in diverse theatre foyers as part of our project ThAEtre Machine. 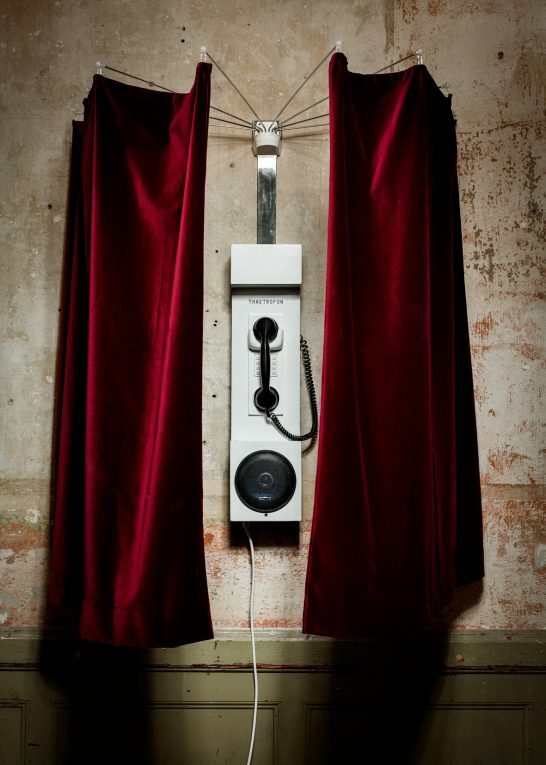 The ThAEtrophone collects opinions and ideas from passers-by, theatre visitors and professionals with its recording function. The collected contributions are processed into a sound installation and provide the thematic foundation for the project ThAEtre Machine.